Does Ontario's Bruce nuclear deal make financial sense? The control room at the Bruce Power nuclear site controls roughly 30 per cent of Ontario's electricity. Last week, Ontario announced it had signed an agreement with Bruce Power to keep the company’s nuclear plant running at least until 2064. For some perspective, on March 1 of that year, Justin Bieber will turn 70 years old. The government’s big selling point for the deal is that the $13 billion refurbishment of the Bruce plant will be funded by private capital, not by taxpayers or electricity consumers. Yet critics charge Ontarians still don’t know the full costs of the pact. TVO.org asked three energy industry observers if they thought the Bruce agreement made economic sense. Has Santa arrived too early? The recent announcement about the Bruce refurbishment project is a positive development that will provide much needed price stability in the short term and also act as a powerful shock absorber to future electricity price increases in the longer term. The scale and the size of the commitment — 6,300 megawatts of baseload generating capacity with a $13 billion private sector investment — is large and bodes well for confidence in the Ontario electricity sector. The most compelling aspect of the nuclear commitment is that this is a non-carbon source of electricity with downstream annual economic benefits in the order of $6 billion per year, accompanied by significant job creation potential over the long term. The price tag is about as low as it gets, with an average price of $77 per megawatt-hour over the life of the contract -- about 30 per cent lower than the current average Ontario electricity price. If this contract were to be successfully implemented, it would help protect Ontario’s economy from uncontrollable global economic factors affecting the price of energy. Has Santa arrived too early? The positive glow around this agreement should be tempered with the recognition that there will be a premium on maintaining due diligence on cost escalations around the refurbishment. There will also need to be a razor-sharp focus on compliance to ensure the terms of the agreement are met. Over the long term, this will prove to be a welcome development for Ontario. Jatin Nathwani is executive director of the Waterloo Institute for Sustainable Energy at the University of Waterloo. According to the government’s preliminary estimate, rebuilding six of Bruce Power’s aging reactors will cost $13 billion. However, according to the actual words in the contract, the final cost estimate is to be determined at a later date. Unfortunately for consumers, the price we pay will be based on the final cost estimate, not the preliminary one. It is imprudent to sign a contract for 35 per cent of Ontario’s electricity supply without knowing its price. To add insult to injury, the government has provided absolutely no evidence to demonstrate that rebuilding the aging Bruce reactors can keep our lights on at a lower cost than water power imports from Quebec, energy efficiency investments or competitively procured made-in-Ontario green energy. Jack Gibbons is the chair of the Ontario Clean Air Alliance. 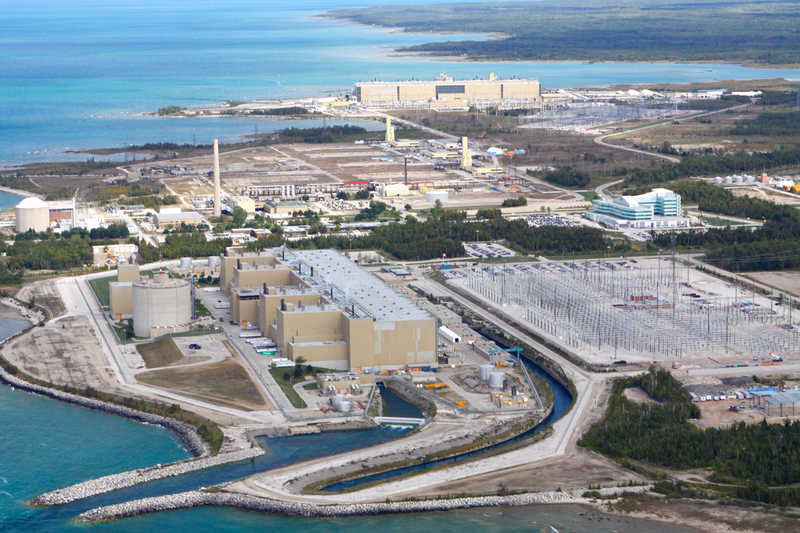 Because of the deal announced last week, one-third of Ontario’s electricity will continue to come from the Bruce nuclear plant for another 40 to 50 years. Further, the energy the plant is currently generating will come at a price of roughly 6.57 cents per kilowatt hour. This is well below the average price of power, and far below the prices guaranteed to wind and solar generators. This is a good deal for our province, and not only because of the price. Bruce and other nuclear plants produce zero-carbon power at high output, day and night, for hundreds of days at a time. This steady, reliable generation of bulk zero-carbon electricity powers our society. No other class of generator, and certainly not wind and solar, can do this. Because of Bruce and the other nuclear plants, Ontario electricity is by far the cleanest energy we have — five times as clean per kilowatt hour as the energy we use for transportation and heat. The Bruce deal ensures that a major part of our nuclear fleet will continue to keep Ontario electricity clean, and affordable, for many decades to come. With its ability to produce bulk power with high reliability and low cost, nuclear is the only energy that can supplant the fossil fuels we currently use for transportation and heat. This is Ontario’s next major frontier of carbon reduction. The Bruce deal is an essential component for success in achieving this reduction. Steve Aplin is vice-president of energy and environment at HDP Group. He blogs at Canadian Energy Issues.